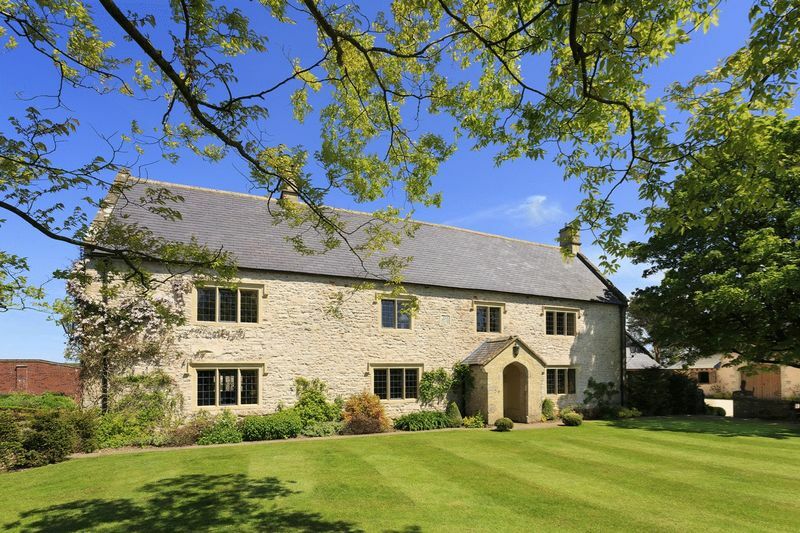 An quite exceptional Manor House dating from the 17th century and enjoying a beautiful setting on the Mendip Hills just above the Cathedral City of Wells and within easy reach of Bristol and Bath. This extensive property includes a splendid house of generous proportions with staff accommodation, recreational amenities, landscaped grounds and outstanding equestrian facilities together with 35 acres of land and the option of a further 37 acres of adjoining land. 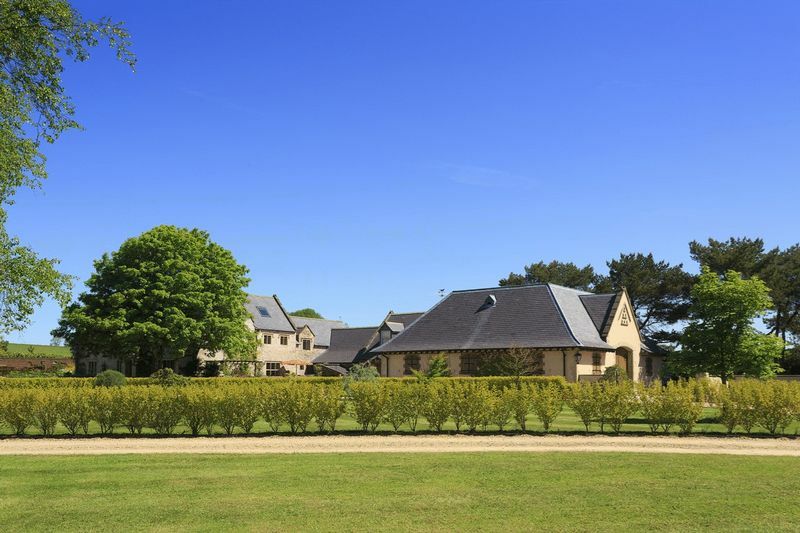 The house, in excellent order, includes over 9,000 sq.ft. 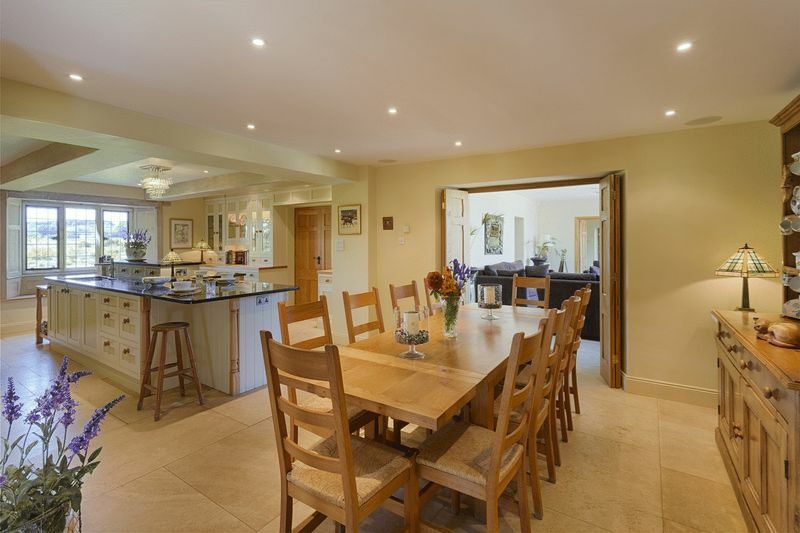 of accommodation with an entrance hall, cloakroom, 4 principal reception rooms, a superb kitchen and breakfast room, utility room, a cinema/games room, a grand master bedroom suite, 4 further bedrooms and 4 further bathrooms. Directly linking in is the north wing with an indoor swimming pool and gym. 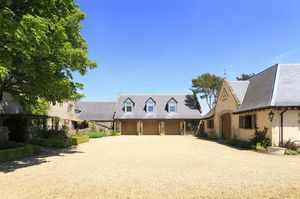 The east wing has an exceptional 3 bay integral garage and above is the staff accommodation which includes a good living area and kitchen, 2 bedrooms and 2 bathrooms. 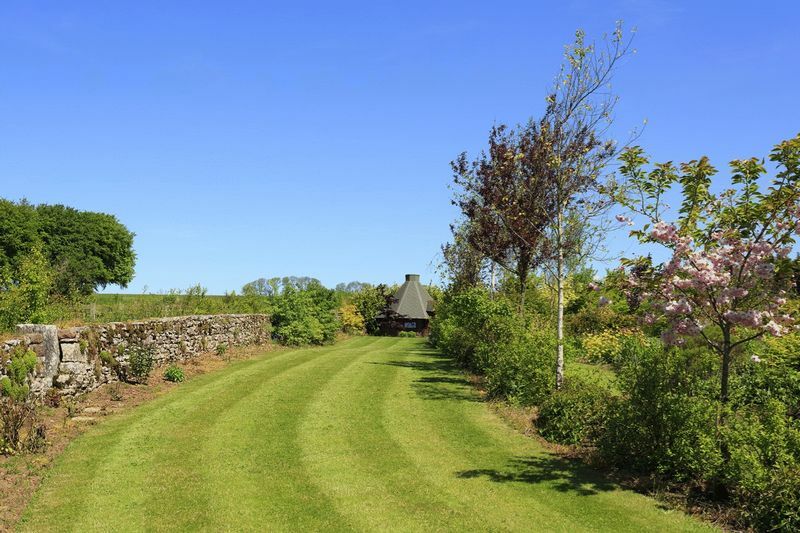 The house stands in mature well maintained landscaped gardens and the well positioned outbuildings include first class stabling, an enclosed barn and a manege. Offers are invited in the region of £2,500,000 with the property including 35 acres and with an adjacent 37 acres being available by separate negotiation. 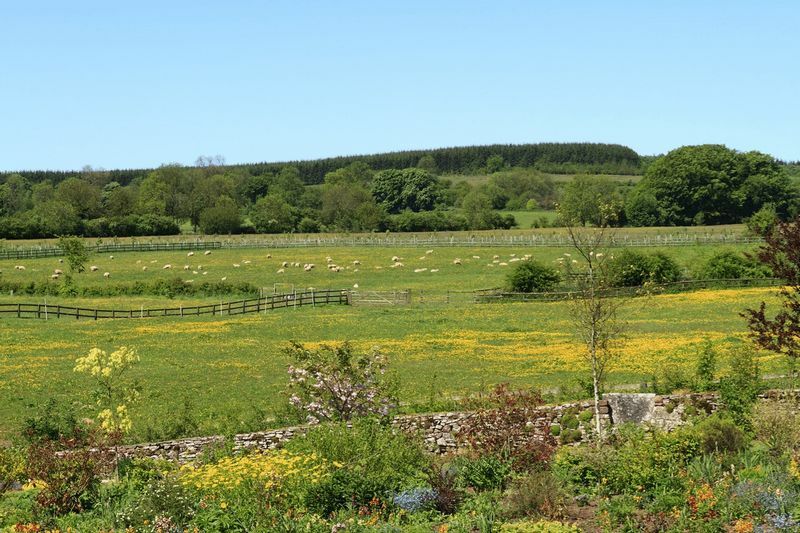 The property is situated on the Mendip Hills, a range of limestone hills, and an Area of outstanding Natural Beauty, about 18 miles south of both Bristol and Bath and 5 miles north of Wells. Wells is the smallest city in England (population about 11,000) and its medieval centre has local markets twice a week, good restaurants, a thriving high street, many important ancient buildings, including the Cathedral and moated Bishops Palace and in addition hosts festivals for Music, Literature, Art and Food. 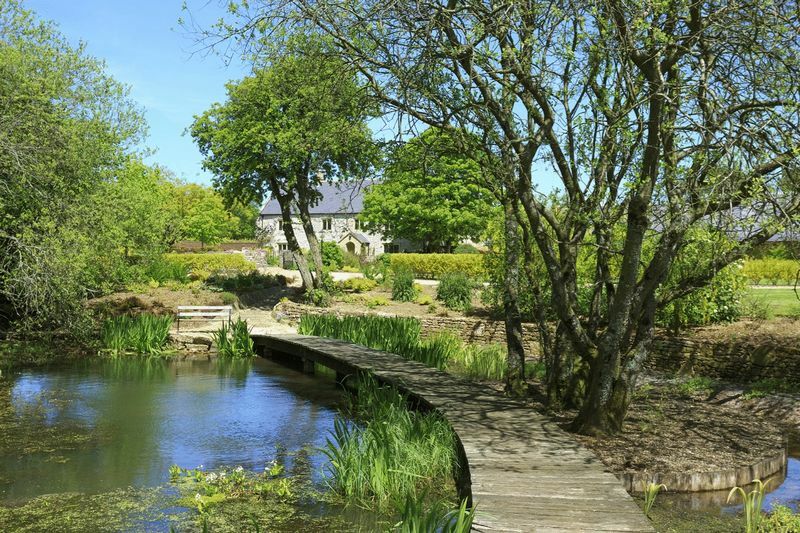 Bristol, Bath, speak for themselves and Bristol International Airport is within 14 miles. There are fast rail links from Bristol, Bath and Castle Cary station ( 13 miles south). 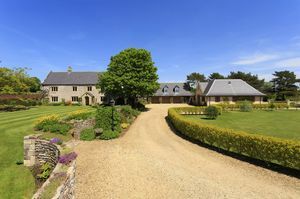 Apart from the nearby city amenities there are extensive sporting facilities with sailing on Chew Valley Lakes, several excellent golf courses, racing at Wincanton and Bath, many syndicate shoots and hunting with several packs with the property being in the heart of the Mendip Farmers' Country. Also within easy reach are excellent state & independent schools including Millfield, Wells Blue School, Strode College, Wells Cathedral School, Downside, All Hallows, Chew Valley School and the schools in Bath and Bristol. 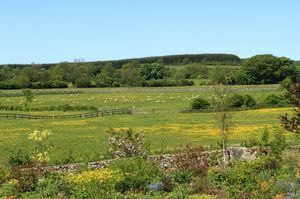 The property is in the heart of the Mendips just beyond the hamlet of Green Ore. 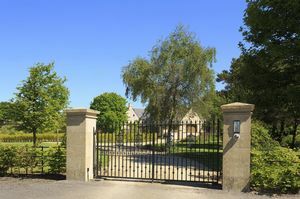 Entrance from the road gives access to the private tree lined avenue of a quarter of a mile to the electric gated entrance to the gardens where a gravelled drive gently continues to the house. 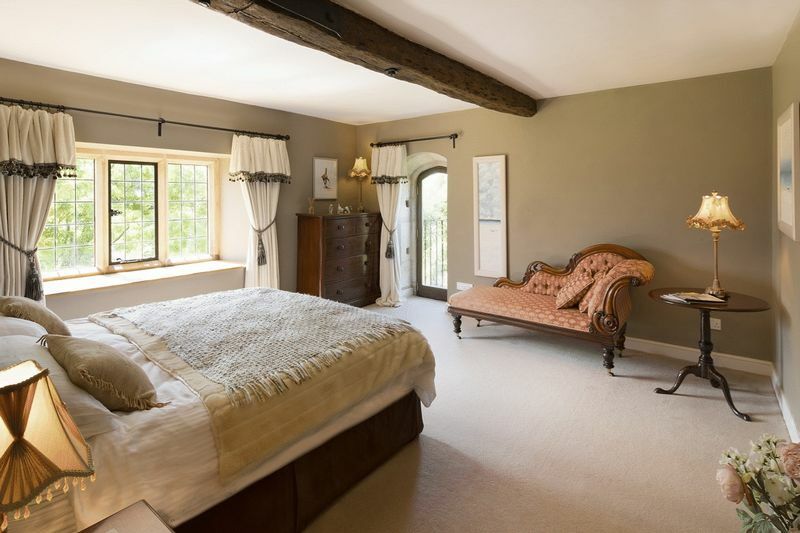 The house dates back to the 17th century and has been extensively improved in recent years by Ellis & Co. winners of the 2016 HFB Heritage award. 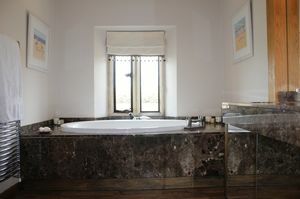 The works have been of the highest quality and focused on the enhancement of historic elements. The charm and appeal of a period property are retained and are enhanced by the provision of modern benefits. 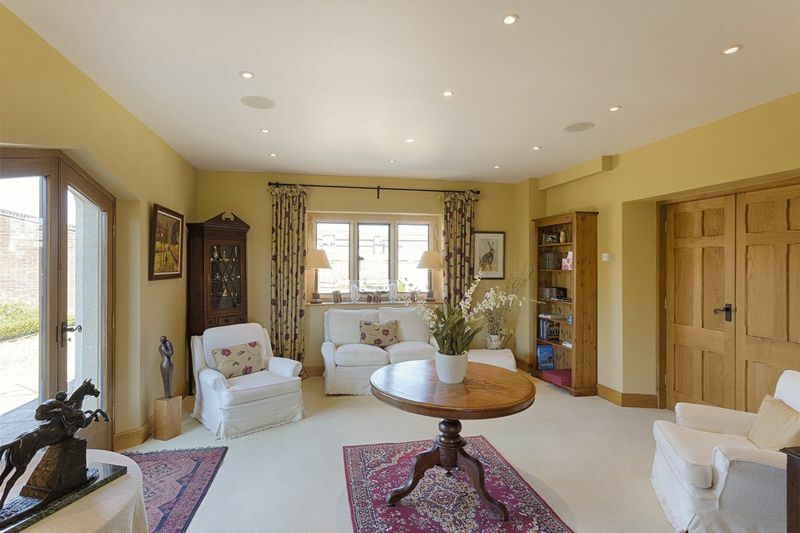 These include oil fired central heating with underfloor heating on the ground and first floors. Inspection being essential to fully appreciate the standard achieved. The Old Granary has a southerly aspect with fine views across its own land and the unspoilt countryside beyond. 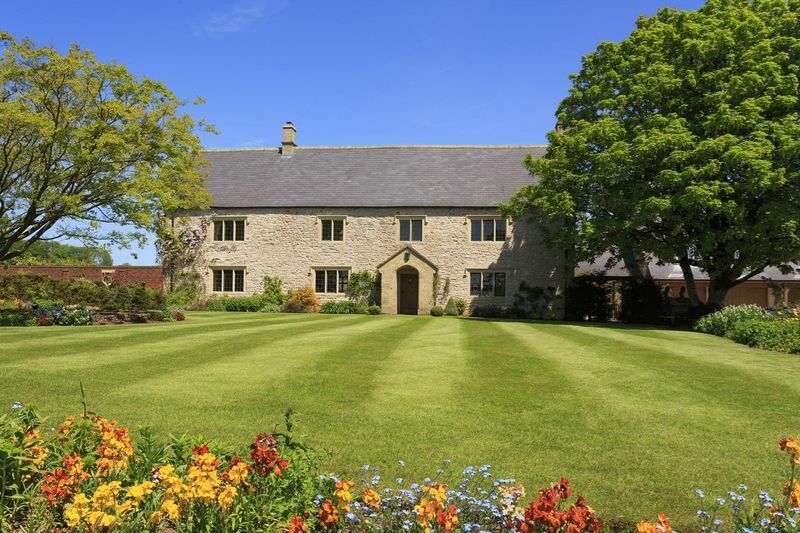 The main entrance is into a large impressive reception hall with blue lias flagstones, a stone fireplace and an oak staircase. 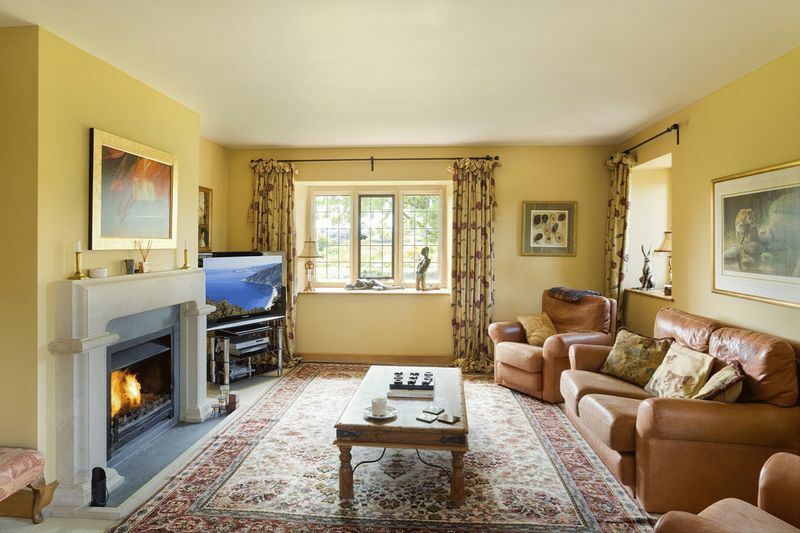 Off the hall is the sitting room which opens into the library which in turn opens to the garden room with details throughout including oak timberwork, fireplaces, window seats and panelling. The garden room looks into a delightful courtyard and the room is ideal as a sitting room and is equally suitable as a dining room. 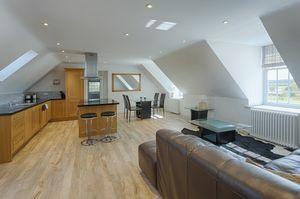 Indeed the accommodation throughout is flexible and can suit different needs and lifestyles. 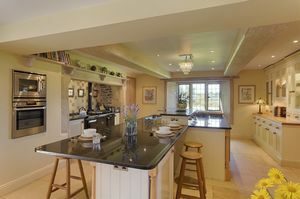 The large kitchen and breakfast room is the heart of the house and is approached from the reception hall, garden room and the side hall. 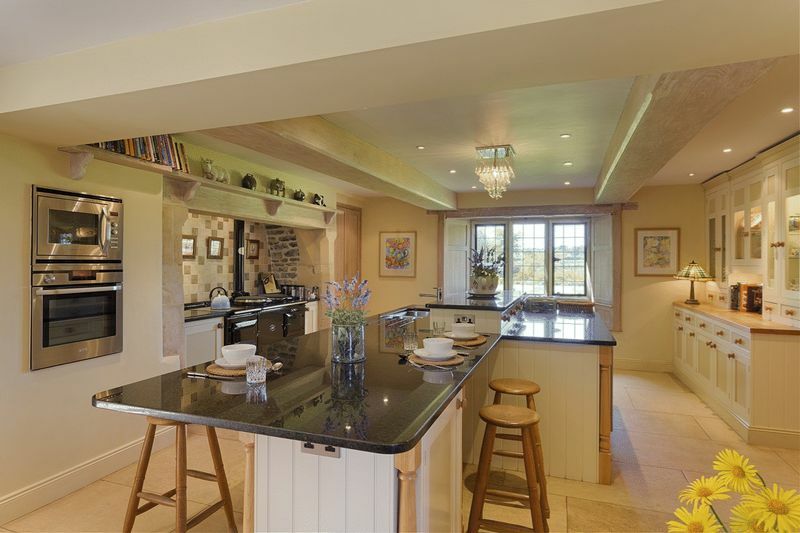 The room has natural limestone tiled flooring, handmade kitchen units with concealed modern appliances and granite work surfaces, a recessed four oven Aga and a bespoke built-in pantry. 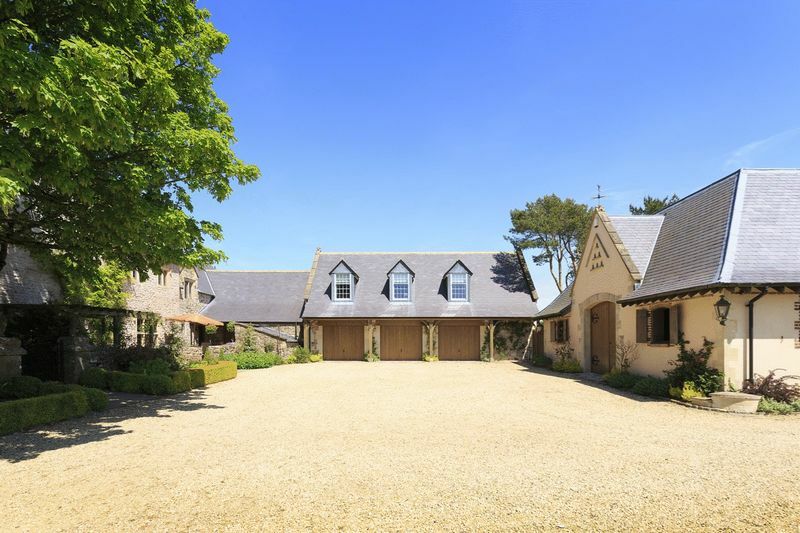 The side hall has a cloakroom, doors to the inner courtyard and side entrance and also into the inner hall which leads to an large utility room. 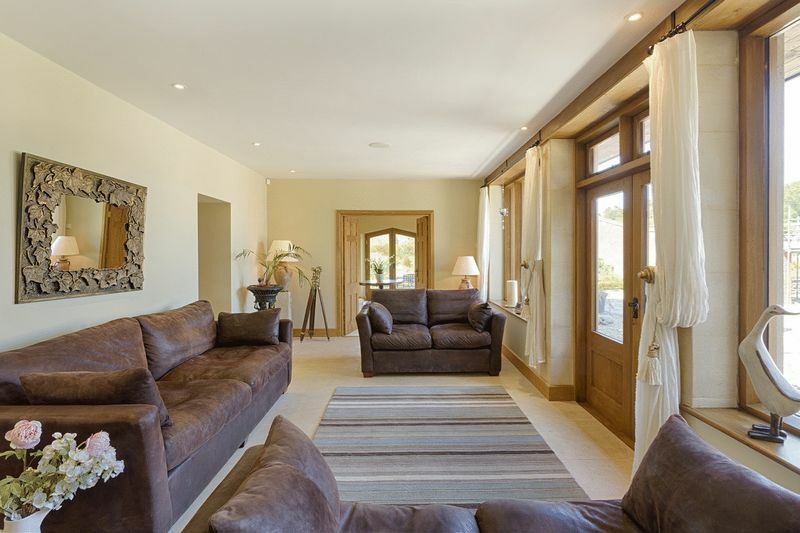 This inner hall also leads into the quite stunning recreational area which includes the indoor pool, adjacent gymnasium and plant room. 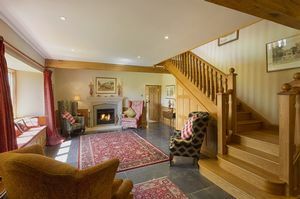 The staircase from the reception hall leads to the first floor galleried landing which serves all the first floor bedrooms. 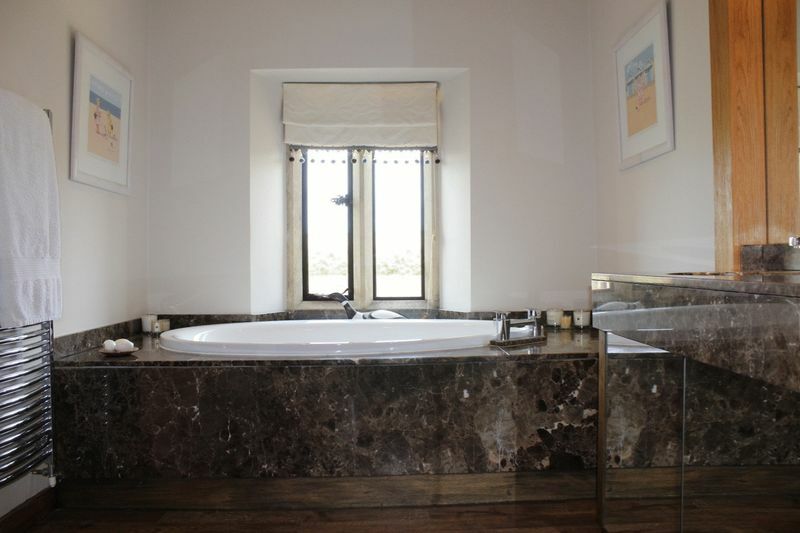 The master suite includes a large double aspect bedroom with a comprehensively fitted oak panelled dressing room and en suite bathroom a marble surround bath, twin hand basins, a separate shower unit and wc. 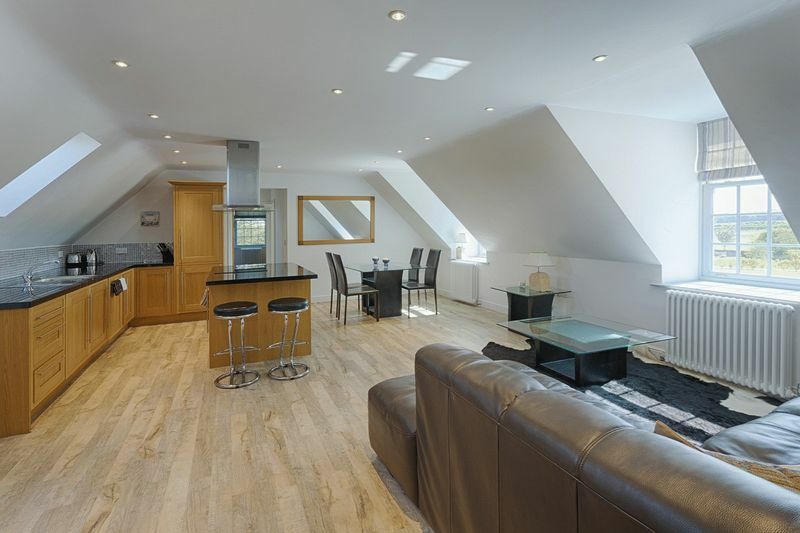 There are two other bedrooms and two bathrooms on this floor and a large cinema/games room with drop down screen, overhead projector and surround sound. Again this room has scope for many uses. 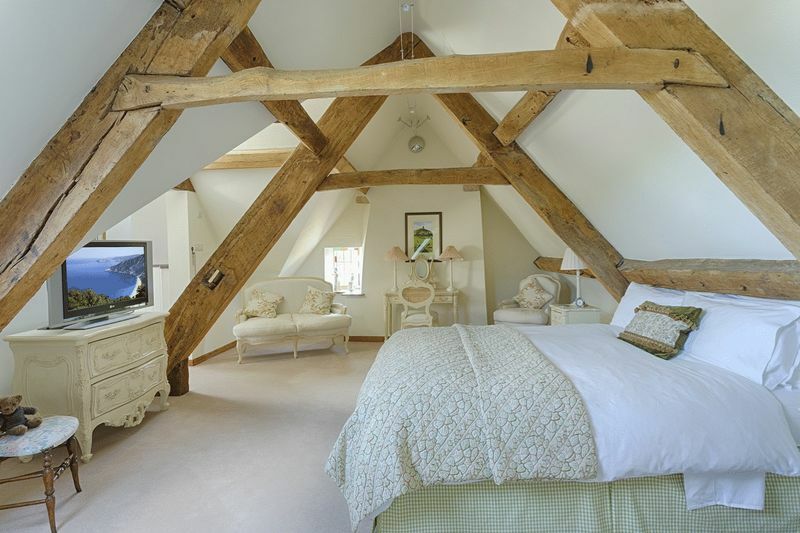 The staircase continues from the landing to the large second floor landing and two spacious bedrooms with exposed beams and contemporary en-suite bathrooms. Returning to the ground floor an inner hall gives access to a cobbled hall which has a secondary staircase, external doors and an internal door into the integral garage. This has 3 large bays with electric up and over doors. Adjacent are a store and an office with a cloakroom. The staircase from the cobbled hall leads to the staff accommodation which includes a large open plan kitchen and living area, 2 bedrooms and 2 bathrooms. There is also integral access into the cinema room of the main house. 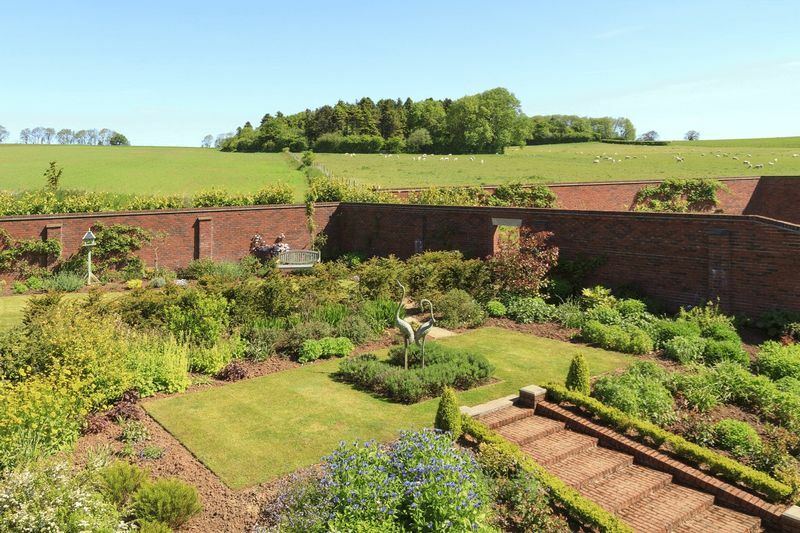 This flat is ideal for staff but is equally suited to use with the main house. The gardens are absolutely delightful and having been laid with great care and attention. The formal areas are bounded by high brick walls, yew and laurel hedges and include lawns, well stocked herbaceous borders and neat courtyards. Less formal areas include a small tucked away orchard, a charming pond and wild garden and a "hobbit House' with an inbuilt BBQ. There are also stone buildings providing storage area for maintenance equipment and potting shed. 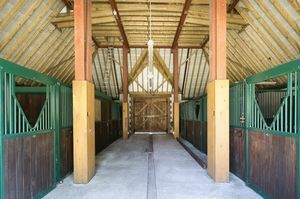 On the eastern side of the house is the principal stable block based on the "American Barn" style and comprising 3 loose boxes, 2 foal boxes with rubber floor matting and external feeding areas. 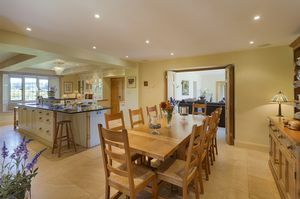 There is a tack room with Belfast sink and an access door through to the triple garage. 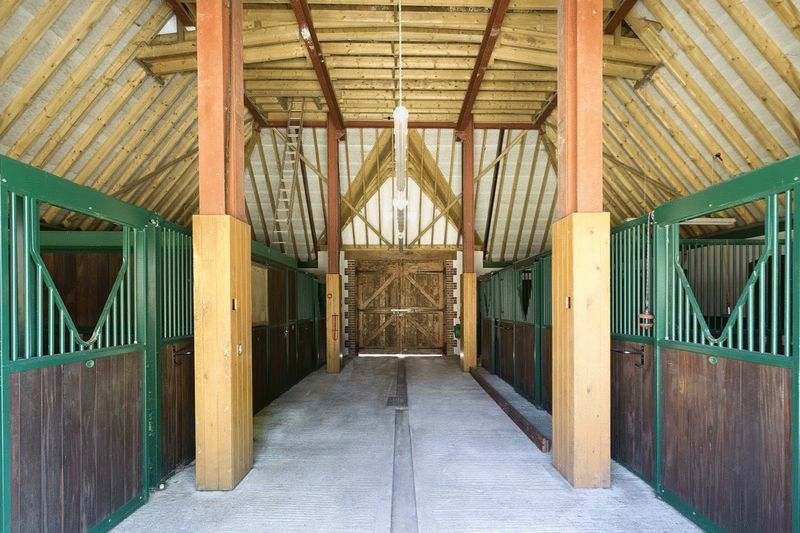 Horses are walked from the stable to the outdoor manege (40m x 20m) and surrounding land via a separated bark track. 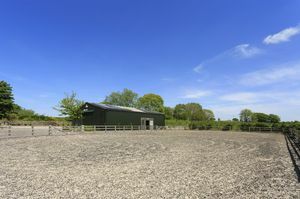 Next to the manege is the enclosed Barn being a steel portal frame structure with box profile clad elevations and roof. This provides a large storage area (ideal for a horse box) and additional loose boxes and feed/tack room. It's also noteworthy that there are 2 banks of pv panels discretely positioned on the roof. 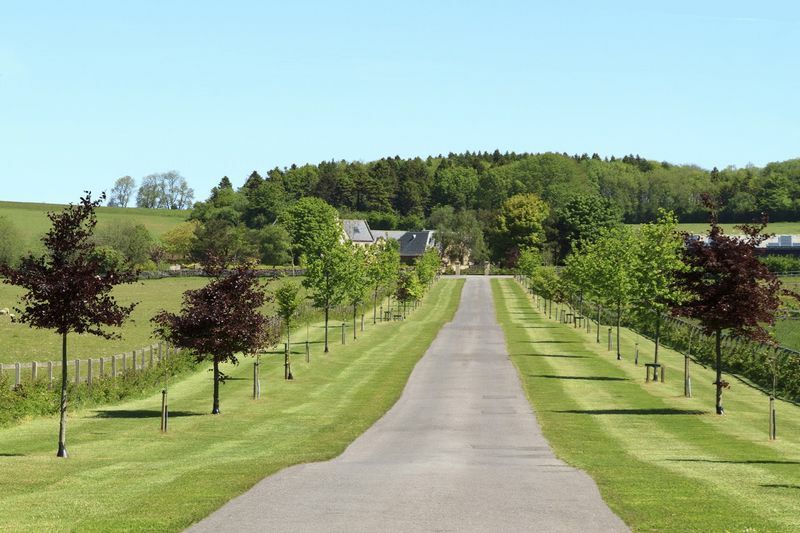 The Land The property includes around 35 acres which includes in addition to the gardens several level lying fields of permanent pasture to the southern side and extending to the roadway, and the planting of several thousand trees. In addition there is a further 37 acres immediately adjoining this land available be separate negotiation. From Bristol (A37) Proceed south towards Wells/ Shepton Mallet on A37 for approximately 13 miles. Then follow the A39 towards Wells (straight on). Proceed for approximately 4 miles until arriving at the traffic lights at the Green Ore crossroads. At the crossroads, turn right onto the B3135 towards Cheddar. Continue along this road for approximately ¼ mile and the property can be located on the right hand side. From Wells take to A39 towards Bath and Bristol, at the traffic lights in Green Ore turn left onto the B3135 towards Cheddar. 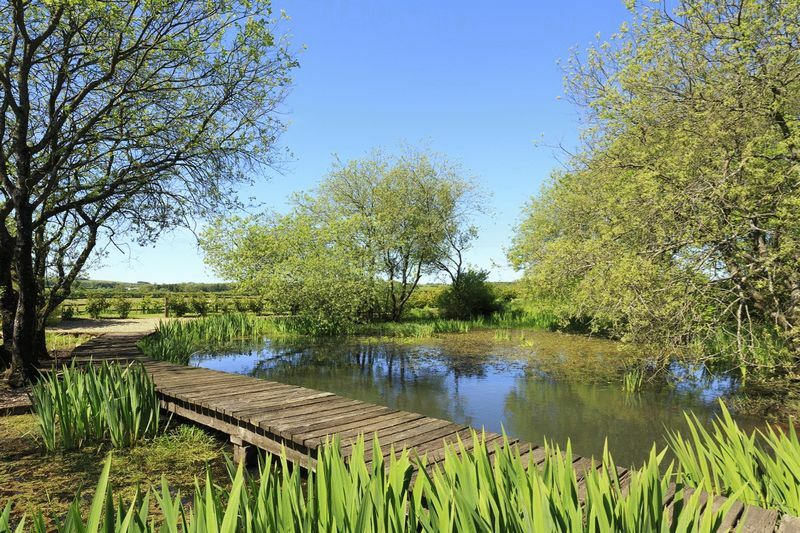 Continue for approximately ¼ mile and the property is located on the right hand side. Roderick Thomas, their clients and any joint agents state that these details are for general guidance only and accuracy cannot be guaranteed. They do not constitute any part of any contract. 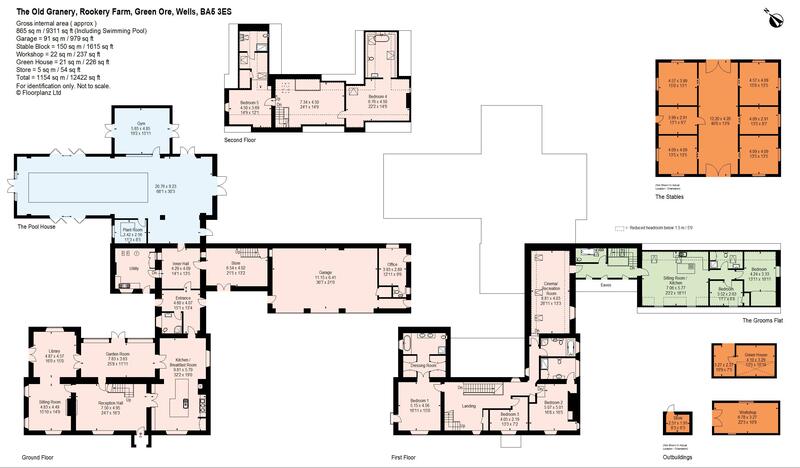 All measurements are approximate and floor plans are to give a general indication only and are not measured accurate drawings. 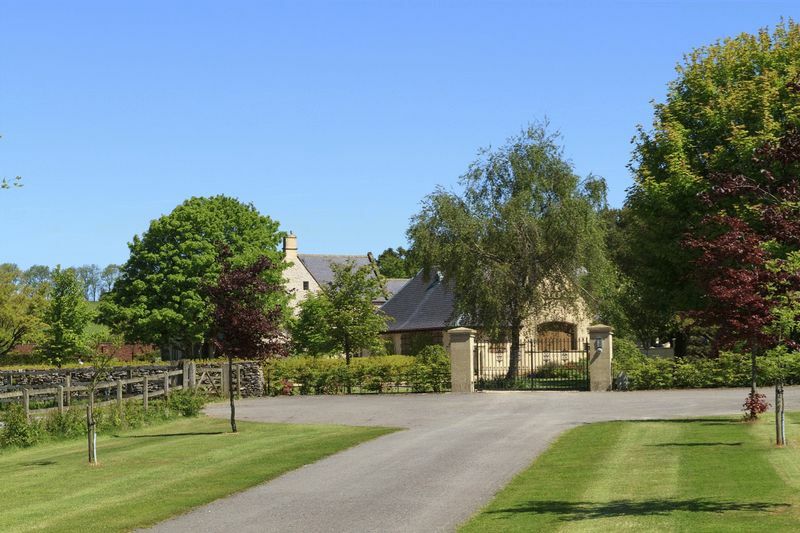 No guarantees are given with regard to planning permission or fitness for purpose. No apparatus, equipment, fixture or fitting has been tested. Items shown in photographs are not necessarily included. 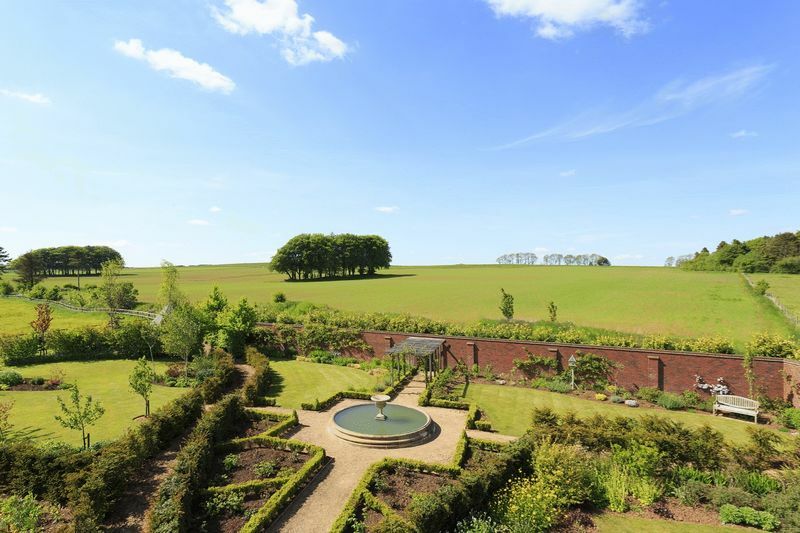 Purchasers must satisfy themselves on all matters by inspection or otherwise. VIEWINGS - interested parties are advised to check availability.